This is a good Electronic project report on "digital control for modern trains". The aim of this project is to design a railway train which runs without a human control. This automated application oriented train while moving on the track receives the IR signal by reaching the station. By detecting the IR signal our moving train immediately stops and the door automatically opens with the DC motor connected to it using a L293D driver. You can also Subscribe to FINAL YEAR PROJECT'S by Email for more such projects and seminar. 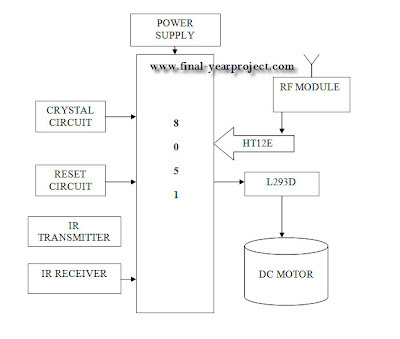 Above shows the transmitter block diagram of this project. 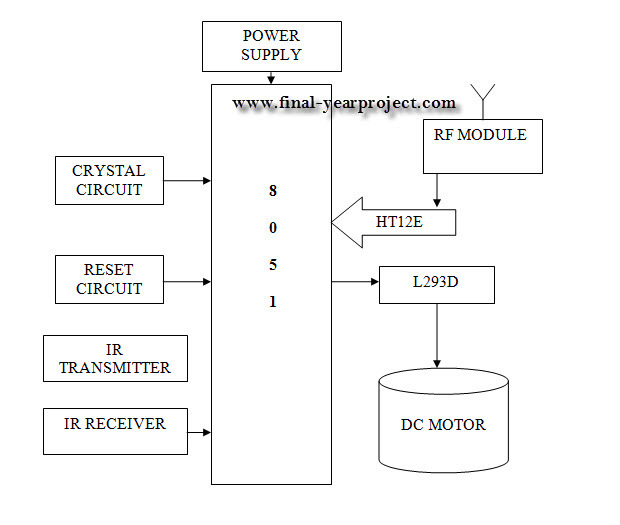 This report includes all the block diagram.s, circuit diagram, full working and microcontroller programming of the project. Use it for your reference and study work.